Sheldon is an area in the eastern part of Birmingham, close to the border with the Borough of Solihull and Birmingham International Airport. It is likely that Sheldon village dates back to the mid 13th Century following a migration of people form Machitone (now known as Mackadown), a Saxon Settlement mentioned in the Domesday Book. The name Sheldon derives from the de Scheldon family, a Lord of Machitone in 1220. Sheldon remained a small agricultural village up until early the early 1930â€™s when it became incorporated into Birmingham resulting in rapid residential and commercial development. Today Sheldon is served by many shops and businesses situated along the A45, Coventry Road, which runs from Birmingham City Centre through Coventry and beyond. We were treated with high professionalism during our buying process. All queries were answered promptly and the agents were always punctual and helpful. First class service from start to finish went over and above the brief. Made to feel important and not just another client. Phil and Julie were great. They kept me in the loop with everything. Phil was professional when showing me around Hilderslene. Other Estate Agencies are a waste of time! You really do pay for what you get !! These online Estate Agency are cheap and unprofessional. We are very pleased with the service we were given. Thank Phil and a special thank you to Lesley who helped so much with her friendly approach to me. I would not hesitate to recommend the service you both offer. I found both Phil and Lesley extremely helpful in all aspects of the sale, they allayed any worries I had straight away. Lesley went that extra mile to help me. Phil said to ring anytime and not to worry about things with me living so far away. I value the service received from Sydney Mitchell. I consider them a professional company and would use them again the in the future. Phil thank you for everything especially on the last day. Lesley your are an ace! Thank you, one of life's smiles always fun to speak to. Lesley was fantastic. She kept in contact with me more than my own solicitor and because of her I have recommended your service to others. Lesley called me, emailed me when at work and helped reduce stress for me as I was heavily pregnant. Thank you. *Superb service throughout* during a very difficult time having lost Mom. No problems whatsoever. Very Happy with everything. Not being too well informed on house sales, your service proved to be both excellent and covered all problems I may have had. From the start everything was explained clearly to me and the process of actually finding a buyer was carried out with great precision. Thanks also to the office staff who kept me so well informed about various offers I had on the property - and on a Saturday too! I was very impressed by the presentation folder made for the property which I felt was a first class production in itself. What buyer would not be impressed with that sales folder! 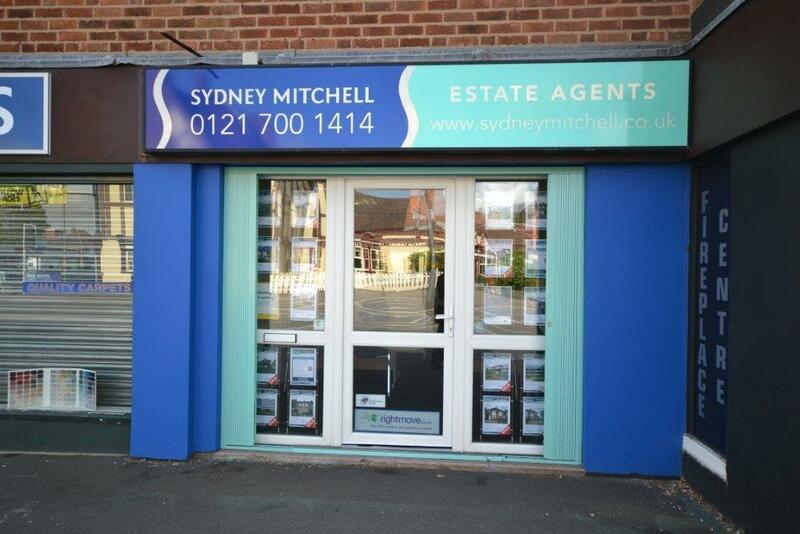 I can only say a very big thank Phil and staff at Sydney Mitchell Estate Agents Sheldon. I dealt mainly with Phil Light & Lesley Moore who were at all times friendly, efficient and professional. The sale was achieved in a very short period with two prospective buyers identified in the first week. Everything I asked to be done was carried out quickly and in good spirit. I cannot recommend them both highly enough.